Part of the mission of the Downey Conservancy on Flickr has been to track down and save pictures of the old Downey. I thought it might be fun to compare the old photos of these locations with what they look like now, so I'm starting a new series of "now and then" pictures. 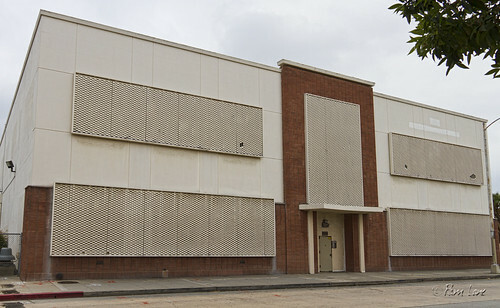 The old Verizon building, on 2nd Street near downtown Downey, currently stands abandoned. It is going to be demolished soon (the contract has recently been awarded) and is expected to be redeveloped into a 50-unit affordable housing complex. 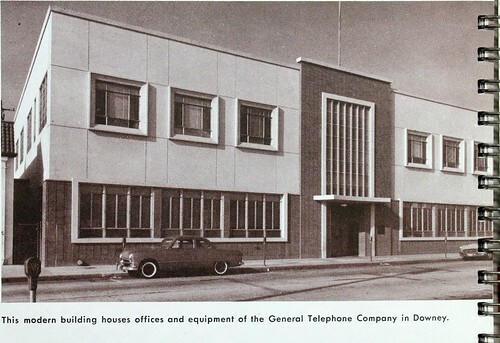 Before it was Verizon, it was a "modern building" that housed the offices of the General Telephone Company. I think the building was much more appealing before all the windows were covered up. 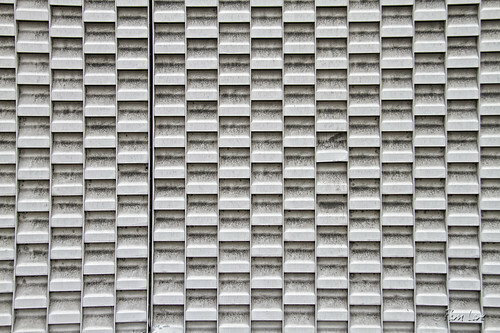 I imagine that these coverings let in some light, but they completely block the view for those working inside. Why do you supposed they did that? Isn't it fun to find "moved away" friends reading and commenting on "Downey Daily." I love comparison photos that show the evolution of a place. Nicely done!